Marc Louis Milecofsky born on 29th August 1972, in Livingston, New Jersey, USA. He is better known as Marc Ecko, a fashion designer, investor, artist, entrepreneur and philanthropist the founder and Chief Creative Officer of Marc Ecko Enterprises, a global fashion and lifestyle company. Apart from this he is also known as the founder of “Complex” magazine. Have you ever wondered how rich Marc Ecko is? According to sources it has been estimated that Marc Ecko’s overall net worth is more than $100 million. Ecko accumulated his impressive wealth by founding a billion-dollar urban lifestyle and accessories company. His New York-based media platform “Complex” has been one of the most successful magazines since 2002, and also added a lot to his net worth. 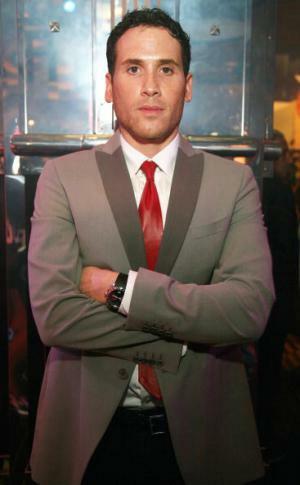 Marc Ecko was brought up in Lakewood, New Jersey alongside his twin and an older sister, and is of Jewish descent. By the time he was a teenager, Ecko had turned his family’s garage into a personal design studio where he created and marketed T-shirts of his own design. After finishing high school, Marc enrolled at Rutgers University’s School of Pharmacy, and during his schooling here, he became occupied with drawing and graffiti, making “Ecko” his tag. Thanks to the school dean’s encouragement, Ecko decided to pursue his dream career during the third year of studies. He never returned to pharmacy school, but started a T-shirt company called ecko UNLTD in 1993, and to learn more about the clothing industry, he traveled to Hong Kong. Some of his earliest clients such as Chuck D and Spike Lee helped in bringing attention to his business, and a segment in “Good Morning America” also featured his designs. As it expanded, the company started developing more and more into hip-hop and skater styles, taking a rhinoceros logo. Ecko UNLTD has since become a billion-dollar company, with full lines for young men and women, children and adults. All have added to his net worth. At one point, Ecko’s business included a young men’s magazine “Complex”. Marc was the youngest designer ever to be appointed to the Board of Directors of the Council of Fashion Designers of America. Since 2010, he has also been a member of Emeritus Board. In October 2013 Marc released his first book named “Unlabel: Selling You Without Selling Out”, in which he focused on the subject of authenticity and discuses how he turned a $5000 investment into a billion dollar company. When it comes to his personal life, Ecko has been married to Allison Rojas since 2000, and the couple has three children. They live in Bernardsville, New Jersey. Marc is also a well-known philanthropist. One of the reasons for his company’s logo is because Ecko is a supporter of the endangered rhinoceros population, and children in need all over the world. He founded “Sweat Equity Education” in 2004, which is a non-profit organization which increases the success of under-served students by providing opportunities. 1 Founder, "Ekco Unlimited" in 1993, when he was 20. 2 US fashion designer, founding his clothing brand, "*eckó", in 1993. 3 Resides in Bernardsville, NJ. 4 Founder, "Complex", a lifestyle magazine. 5 Tries to help reverse the plight of the world's rhinoceros (his brand's symbol) population by supporting a number of initiatives.